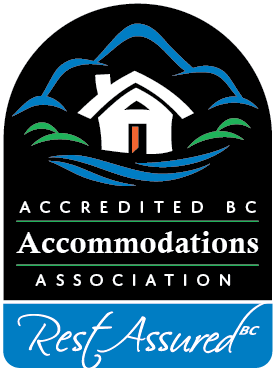 BC has an incredibly diverse terrain and offers many types of active healthy vacation options. These include hiking through the backcountry; cycling along city paths or down steep vertical terrain; playing in our lakes, rivers and ocean; or wild life viewing in urban parks or in protected sanctuaries. You can “Rest Assured” that our Innkeepers will provide information on local outdoor activities to suit all energy levels. Outdoor Adventure abounds in our area. Cycle with your friends or relatives on the Kettle Valley Railway ("Columbia and Western portion"). It is a days ride from the Castlegar CPR Station Museum to Christina Lake. Ride from Mile '0' at Midway through Greenwood, Eholt,and Grand Forks to Christina Lake. Make the Sunflower Inn B&B your home base and take day trips doing parts of the KVR. Hike our local trails. 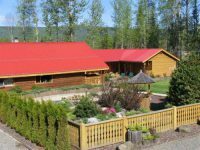 Horseback ride to the Kettle River or Cascade Falls with Owl Mountain Ranch. Kayak too. Mainstay Oasis is surrounded by many aspects of nature from trails leading to birdwatching, hiking to Rocky Point Park to rent kayaks, canoes, sailboats and paddle boards. We are within walking distance of Old Orchard Park & beach, & 7 min. to White Pine Beach and trails. Buntzen Lake is 7 mins. away. Find tennis courts, and golfing with in 5-15 mins. nearby. 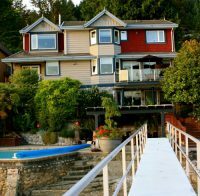 We have a heated outdoor pool and a dock to access the Burrard Inlet. You can crab off the dock or wear water socks & explore the beach. Marine and Land Eco Tours are both offered directly by Birds of a Feather in our own private zodiac and our hummer. Courtesy canoes and kayaks available right from our dock. Abbeymoore Manor provides a great base for many exciting outdoor adventures. Enjoy spectacular whale watching with Victoria's eco friendly whale watchers. Fly through the treetops at two exhilarating "Zip" lines. Walk the beach just blocks away or hike the start of the famous Juan de Fuca Trail to Mystic beach. Into cycling? Bike trails abound including the Lochside and Galloping Goose. Go your own way or let us arrange a guided Cycle trek for you. There's so much for you to do! Whale watching excursions, world class scuba diving, fishing charters, sailing, cycling along the Lochside & Galloping Goose trails and beach walks... just some of the activities that are available for the outdoor enthusiast while visiting Sidney by-the-Sea. Wells Gray Park is a paradise for the outdoor adventure seeking traveller who enjoys un-crowded trails, lakes and day areas. Hikes to stunning waterfalls and fantastic wildflower meadows are close-by. Canoeing, kayaking or whitewater rafting is only a short drive to and horseback riding is offered nearby. Order a picnic lunch with your host and you are set for a perfect day in the Park. Visit the Canada you imagined - Wells Gray Park and the Blue Grouse Country Inn will not disappoint you. 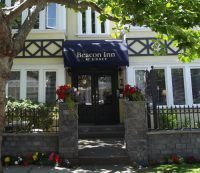 Ocean Mist Guesthouse B&B is just a 2-minute walk to the rainforest walkways of the spectacular Wild Pacific Trail and historic lighthouse. Enjoy breathtaking ocean views, wildlife viewing opportunities, historical signage, and resting benches at various vantage points. Whale watching, wildlife adventures and sea kayaking are within a 5 minute drive. Pacific Rim National Park surfing, beach combing and walking/hiking trails are within a 15-20 minute drive.